For years, McDonald’s slogan has been “I’m lovin’ it,” and leading up to Valentine’s Day this year, the burger chain has a new love: reading. 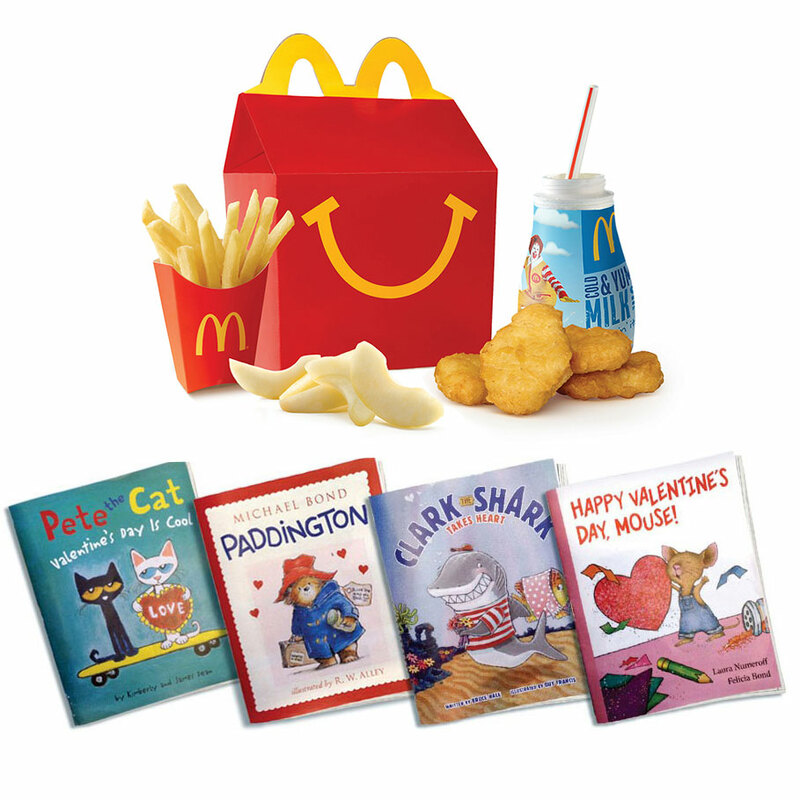 In a partnership with Reading Is Fundamental, from now until February 15, McDonald’s will be replacing the typical toy in its Happy Meals with one of four books, most of which revolve around a Valentine’s Day theme: Paddington Bear, Pete the Cat: Valentine's Day is Cool, Clark the Shark Takes Heart and Happy Valentine's Day, Mouse! Personally, I can’t vouch for the quality of any of the books besides Paddington Bear, but I’m assuming they’re all more exciting than staring at the side of the Happy Meal box. The fast food company estimates they will give out more than 17 million of the specially designed Happy Meal–size paperbacks during the promotion. Add that to the previous times McDonald’s has run their Happy Meal Book program dating back to 2013, and the burger brand brags that they believe they will have distributed 50 million books in all by the end of the year. That’s nearly one book for every time a child threw a temper tantrum because he wanted a Happy Meal. Hey, at least this time there’s a book on their bedsides instead of some annoying Minion character.